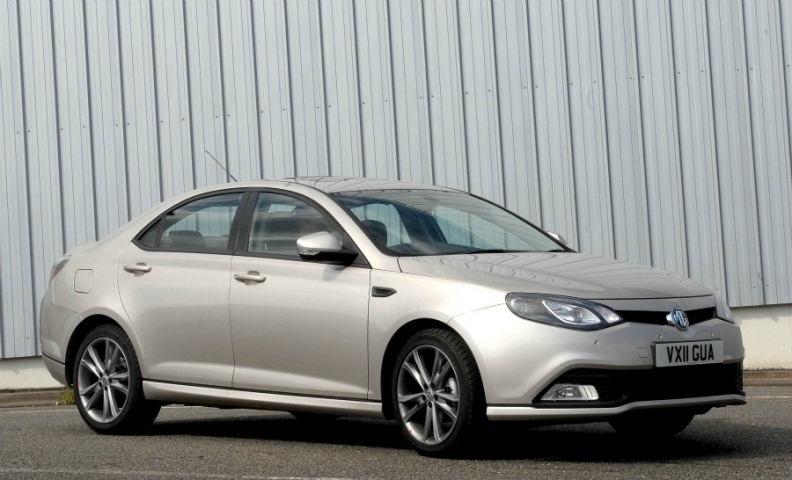 The MG6 received a four-star NCAP safety rating. SAIC Motor Corp.'s MG6 compact car and Zhejiang Geely Holding Group Co.'s Emgrand EC7 mid-sized car each received a four-star overall rating in crash tests by Euro NCAP, an agency assessing the safety of vehicles sold in Europe. It is the highest safety rating ever achieved overseas by vehicles produced by Chinese automakers. The crash test evaluated the vehicles' adult protection, child protection, pedestrian protection and safety assist. Both models were relatively poor at pedestrian protection, but scored well otherwise. "These results mark a milestone for the Chinese automotive industry," Michiel van Ratingen, Euro NCAP's Secretary General, said in a statement. "It is a clear sign that Chinese carmakers are building on recent experiences and rapidly investing in better vehicle safety." He predicted Chinese automakers soon will achieve five-star ratings. In the past four years, vehicles made by Chinese automakers did poorly in the European crash tests. In 2006, Jiangling Motor Holding's Landwind X6 SUV received a zero rating, while Brilliance China Automotive Holding Co.'s Zunchi mid-sized car was assigned a one-star rating in 2007. In 2009, Brilliance China's Splendor compact sedan received a zero rating, and Jiangling's Landwind CV9 SUV earned two stars last year.